As a young kid growing up, I always knew that when I got older I wanted to have a son; I never really thought about having a daughter. Having a son meant bonding while playing catch in the yard with each other and then tying rubber bands around baseball gloves to break them in perfectly. It meant playing video games together for hours on end and hanging out and having memorable conversations only a dad and son could really appreciate. 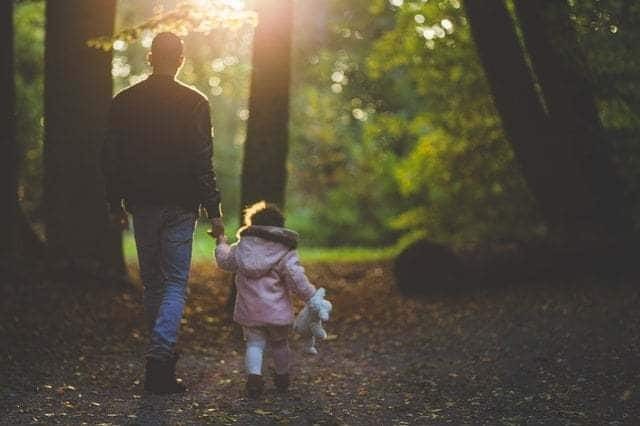 My dad and I were pretty close, but his constant work schedule made it difficult at times to really have quality time together and I knew when I became a parent, my son and I would do all those things and more. I’m now a dad of three… three beautiful daughters. While “young me” would have been shocked and probably disappointed by that, the current me couldn’t be happier. When my first daughter was born, we skipped any prediction or gender unveiling and decided that the surprise of hearing “It’s a boy” or “It’s a girl” in the delivery room would be an exhilarating moment we didn’t want to spoil. The second I was informed that “she” had arrived, I immediately broke down in tears. But the tears weren’t of disappointment or had anything to do with me not having a son. It was of sheer love and warmth and joy. While it may sound naïve to say, It didn’t take long for me to realize that girls can do anything boys can do, either. Shortly after they learned to walk, all my girls were at soccer camps learning the game. They were up at the batting tee donning helmets four sizes too big and could barely see out from underneath them. They’d hoist their bats onto their shoulders and use all their might to bring it forward and power through a swing. As they grew up they got dirty from the dust on the fields and garnered some of the biggest and nastiest bruises and scrapes then I ever had.